In the late 1960s, General Motors engineer and off-road racing enthusiast Vic Hickey got word of a new race that was to be held called Mexican 1000, which is known today as the Baja 1000. 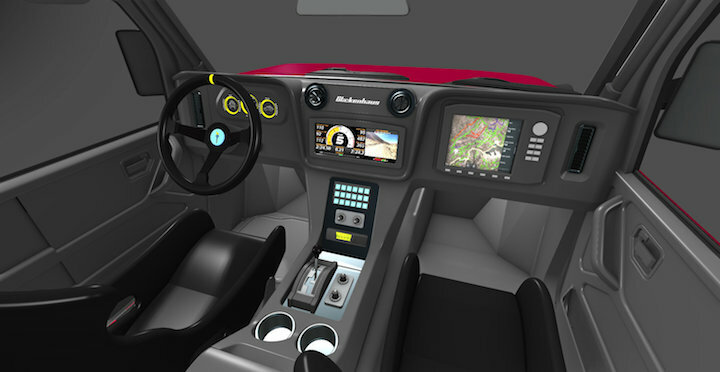 Hickey, who got his job at GM after designing an off-road buggy he called the Trailblazer, promptly set to work on a new buggy to contest the race. 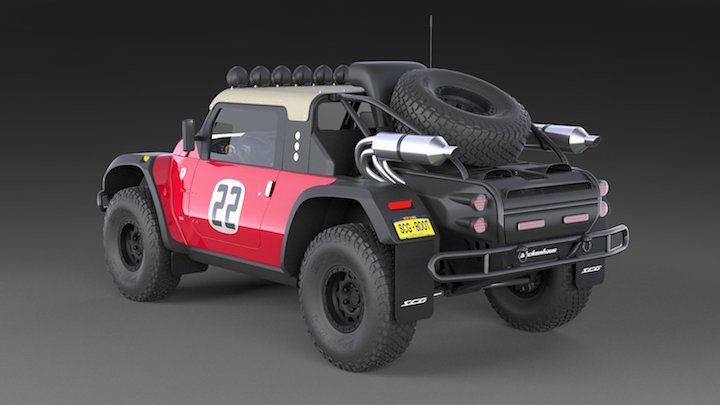 Hickey designed a mid-engine off-road buddy powered by a 350 Chevrolet V8 and Turbo 400 Hydramatic transmission for inaugural edition of the Mexican 1000. Drivers Drino Miller and Al Knapp were forced to retire early from the race with a broken rear strut, however, so Hickey decided to sell the car off. Its buyer was none other than famous actor and racer Steve McQueen, who entered it a number of other off-road events (including the 1968 Mexican 1000) but also it again experienced reliability problems. Finally in 1969, the Boot took its first-ever win at the Baja 500 race with Bud Enkins at the helm. Today McQueen’s Baja Boot is owned by Cameron Glickenhaus, owner of road car and race car company Scuderia Cameron Glickenhaus. SCG is currently working on a Baja Boot revival vehicle and recently dropped some information on the powertrains that will be offered with this vintage buggy revival when it goes on sale later this year. Two versions of the SCG Boot will be available: a road-going version and a race version. The road version will be powered by a 460 hp GM LT1 Small Block V8, which will be paired with a 4L80E automatic transmission. The racing version, meanwhile, will get a supercharged 650 hp LT4 Small Block V8 and a race-prepped Turbo 400 automatic transmission. The racing version will also get more advanced suspension and other racing equipment such as a roll cage, racing seats with harnesses, fire suppression gear and more. Both two-door and four-door Boots will be sold. The two-door Boot will start at around $258,000, while the four-door, slated to go on sale next year, will start at $287,000. SCG will also toss on a Level 6 armor package for another $166,750, although we can’t see what good that would be a on performance-focused buggy like this..